Losing your job doesn’t have to be the end of your world. It can be the start to the next step in your journey. As a Tahlequah unemployment attorney, I have the knowledge and skill to fight for unemployment benefits that can help their families pay the bills while they regroup and look for a new job. If you’re fired or laid off, your former employer must prove “misconduct” before those unemployment benefits can truly be denied by the state of Oklahoma. 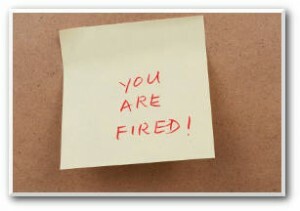 In some situations, even if you quit or resign you may still qualify for unemployment insurance. If you’ve received a denial letter of your unemployment benefits, you may need the assistance of a qualified Tahlequah unemployment attorney to review denial and potentially appeal the decision. When you work, the state holds on to a portion of your pay to be used later down the road if you’re let go or laid off from your job. As a Tahlequah unemployment attorney, I often hear from clients who say they received a denial letter for benefits because the state heard only one side of the story. Don’t just accept the state’s denial letter. We’ve helped many residents here in Cherokee County that have been laid off fight for their Oklahoma unemployment benefits. In the state of Oklahoma a person can request an appeal of their unemployment insurance denial. There is a time limit that those appeals must be filed within 10 days, or you lose your right to an appeal. During the appeal process a hearing officer acts as an investigator of the claim. The hearing officer will call you to hear your side of the employment separation. That’s why having a Tahlequah unemployment attorney with you by your side during that phone call is critical. He or she will also speak with your former employer and any other parties or witnesses and discuss the situation. Employees do have the right to subpoena documents from the opposing party before the hearing to prepare their case. An employer must prove that you committed misconduct in order for the state of Oklahoma to deny your unemployment insurance. Therefore, how is the word “misconduct” viewed by the court? The Oklahoma Supreme Court wrote that it’s more than just simple negligence. Instead, the court says it requires a willful or wanton disregard for the business or employer’s interests, recurring negligence, wrongful intent, or evil design. Your former boss can’t say you committed “misconduct’ because of inefficiency on the job, sub-par conduct or ordinary negligence. If you’ve been let go from your job for no cause, or for being unable to perform, or denied unemployment insurance for any other reason call the Wirth Law Office – Tahlequah at (918) 458-2677 or toll free at (888) 447-7262 for a free consultation. Or, if you’d like, you may enter a legal question in the form at the top right of this page.